Bicycling requires a specific mentality. It demands you accept sole responsibility for your momentum. Wind and incline contradict you. Every agonizing second of that contradiction, pings your resolve. You either respond with a willful decision to move forward or you let resistance stop you. If you don't let it stop you, the willful decision to move forward becomes second nature. Resistance becomes irrelevant. This is the independent, self-directed mentality that propels cyclists. Its also the mentality that propels entrepreneurs. Unsurprisingly, it is the mentality that drives a cyclist to be an entrepreneur. 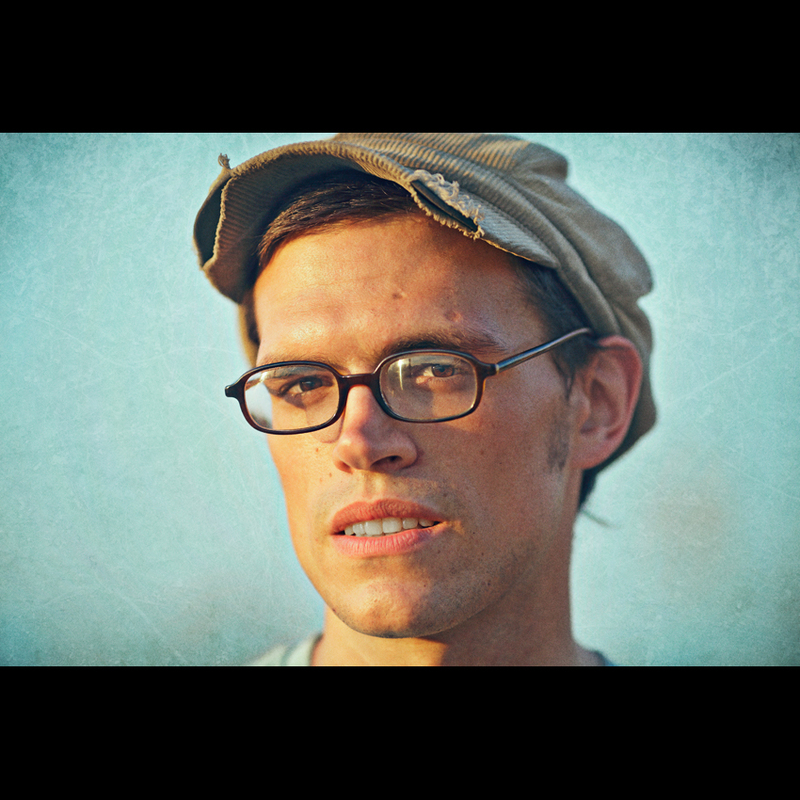 Joey Landis is co-owner the downtown Detroit-based bike messenger service Rock Dove Couriers. Joey founded Rock Dove with Tim and Melissa Sargent. The trio noticed downtown legal and accounting firms needed someone to delivery signed contracts. They collaborated to meet that need. Doing so also met a need for Joey. "I've had a couple of jobs with terrible bosses," Joey said. "That convinced me that, eventually, I would have to be my own boss. I love it." Even so, Joey's entrepreneurial path has not been unimpeded. Business has declined as many downtown legal and accounting offices have started to use electronic transfer for many of their documents. In response, Rock Dove has broaden the scope of their delivery services to include food and other non-legal, non-accounting related packages. A little wind. A bit of an incline. Nothing a determined cyclist can't peddle through. the pictures are stunning, and the essay is beautifully written. i'm not a cyclist or an entrepreneur, but the message was still meaningful to me. on a bad day when it was easy to feel sad and discouraged, your message to make a willful decision to move forward is inspiring. thank you! Knowing time can ease coping with bad feelings - I decided to sleep off an unforeseen disappointment caused by a minor business deal earlier that day. But the eruption of negative thoughts and energies were paralyzing my business mind. Not being able to sleep, I sat in front of my computer and glanced through links and blogs saved for a rainy day…. This article initially caught my eyes for its brilliant capture of a face. The image made me pause, take a closer look and subsequently read the related article. The story so resonated with me that in a matter of minutes I found myself extremely invigorated and felt as willful as a seasoned cyclist; determined to move forward and not allow a letdown of such level get in my way of doing business. What an inspiring observation and a powerful message! 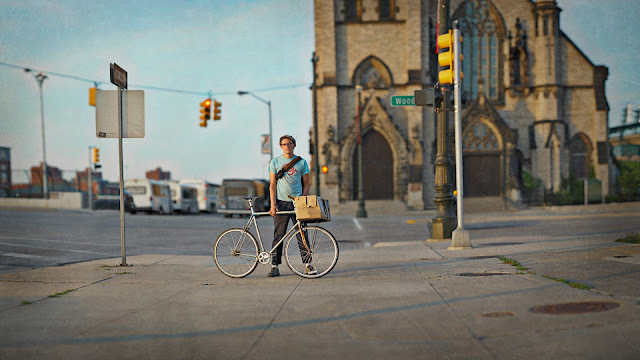 I *KNEW* I saw a bike courier in downtown Detroit last week. It was completely unexpected. That's one of the things I love about this city now. Every which way you turn, you see something inventive and new and unexpected juxtaposed against (?) vacantness or homes, streets and buildings from bygone eras that you won't see anywhere else anymore (lol at least not outside of Europe). The genus of the UK sameday courier market stems from the London Taxi companies but soon expanded into dedicated motorcycle despatch riders with the taxi companies setting up separate arms to their companies to cover the courier work.